HAPPY 2019! 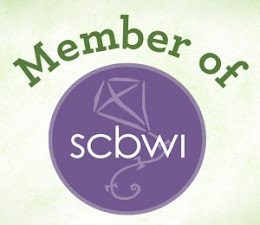 This year, I'd like to share more about books. So I'll continue to post author interviews and tweet about stuff I've read. (On Twitter, find me @CynthiaSociety). I'd also like to interview some illustrators too. To recognize literary blasts from the past, I decided to start an "Oldie But Goodie" series to recognize memorable books I read that were published back in the day. 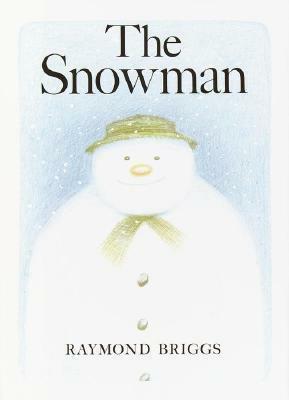 Since it's still winter, I thought Raymond Briggs' THE SNOW MAN would make a good debut post. 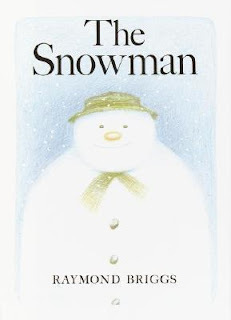 THE SNOWMAN (Random House) is a picture book told without words. On each page are square and rectangular boxes, similar to the layout of a comic book, with an illustration inside each one. The images tell the story of an unnamed boy who builds a snowman with meticulous care. After his mother tucks him in at night, the boy gets back up to check on the snowman. The snowman tips his hat and comes to life. When the new friends go outside, the snowman takes the boy's hand and together they fly through the dark and vast snowy sky for a glorious night on the town. Eventually, the snowman returns the boy back to his home. The boy heads back to his room, and the snowman goes back to the spot outside where he was constructed. The boy goes to sleep. In the morning, he sees that the snowman has melted. Indeed this story doesn't have the cheeriest of endings. But not all hope is lost. If I were the boy, I would build another snowman. Sometimes the figurative snowmen that we build in our lives melt into meaningless slush. But we need to consider what we could do better and find the strength to build another one. THE SNOWMAN was published in 1978, years before CALVIN AND HOBBES, a comic that I LOVE, became syndicated in 1985. The idea of a child befriending a seemingly inanimate object that comes to life for them really stirs something inside me. Tell me about about a "snowman" you had to rebuild. Yeah, no need for happy endings all the time. Just get back up and build another snowman. Life doesn't always have happy endings. It's how we live it that makes it happy. I miss Calvin and Hobbes. Such an awesome comic. It's impossible to escape the superficial comparisons between this plot and that of the song (and later cartoon) "Frosty the Snowman." I don't think I'd go so far as to say I don't believe in happy endings, but every story shouldn't end happily. I hadn't heard of this one, but it sounds good. Not every ending is happy, not should it be. I wonder how kids like this story. It's realistic, for sure!